On February 27, 2019, the New York Giants general manager, Dave Gettleman, said, “We didn’t sign Odell to trade him. That’s all I have to say about that.” The Giants did indeed trade Odell Beckham Jr. to the Cleveland Browns just 13 days later. This is leaving everyone that follows the NFL to scratch their head. Last August the Giants signed Beckham Jr. to a 5-year $90 million contract extension, which made him the highest paid receiver at that time, and Giants fans thought they had the star locked up for years to come. 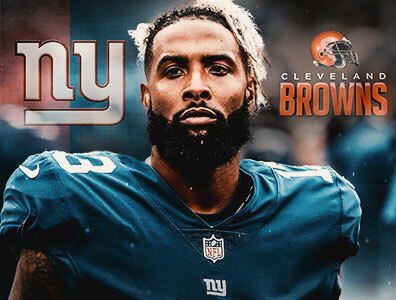 The Browns receive Odell Beckham Jr. as well as his massive contract, and the Giants acquire a first and third-round pick in the 2019 NFL draft along with safety, Jabrill Peppers. Odell Beckham Jr. is considered one of the best wide receivers in football, and he is only 26 years old. He is a 3-time Pro Bowl player (2014, 2015, 2016), has been named to the Second Team All-Pro twice (2015, 2016), and was voted the NFL’s offensive rookie of the year in 2014. Odell averages well over 1,000 receiving yards per season and has caught 44 touchdown passes throughout his impressive career. He holds a whole lot of NFL receiving records for being the fastest player to reach certain milestones too. It is not just his raw production numbers that Odell Beckham Jr. is well known for. He has been recognized for making spectacular catches and big time plays that get the team and the fans going. He can change the game by his one-handed grabs to keep drives alive or his big plays deep downfield leading to scores. He also brings fans to the seats and sells a lot of merchandise as well helping sports franchises succeed financially. These are factors that do not show up on the stats sheet, but they are the intangibles that make a player worth their enormous contracts. …in regard to this trade? It seems that they are emptying their locker room of all of their good players for the most part. They decided not to place a franchise tag on Pro Bowl safety, Landon Collins, who will sign with the Giant’s division rivals, in the Washington Redskins. They traded away linebacker Olivier Vernon to the Browns as he is coming off a Pro Bowl season in 2018. 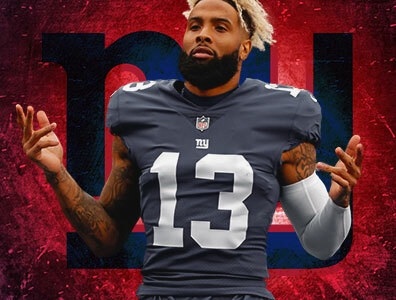 Now with the trade of Odell Beckham Jr. it seems as if the Giants are forfeiting the 2019-2020 season and are in total rebuilding mode out in New York. They still have the young and exciting running back in Saquon Barkley but not much else to work with. Look for the Giants to either pick up a quarterback through trade or free agency, or they may use a high draft pick to get a young quarterback to replace the aging Eli Manning.